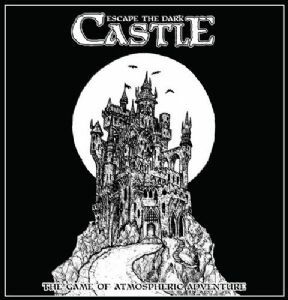 Players take on the roles of prisoners, wrongfully incarcerated in the depths of The Dark Castle. Whether it’s the Abbot, the Tailor or the Cook, each prisoner is represented by a character card and a custom character dice showing that prisoner’s unique endowment of Might, Cunning and Wisdom – the game’s three traits. 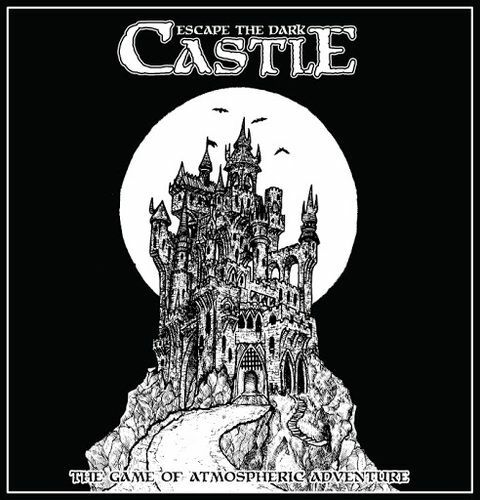 Embarking on a desperate quest to escape, the players must work together to overcome the castle’s many horrors, traps, and challenges - each of which is represented by an over-sized chapter card. 15 of these chapter cards are drawn at random from a larger deck to create a unique castle at the beginning of each game. Each chapter is a unique mini-game and a variety of mechanics are required to complete them, from push-your-luck dice rolling to the playing of item cards collected along the way that bolster player’s tactical abilities. When the players choose to enter (or fail to avoid) combat, all players roll simultaneously to make an attack against the enemy. They need to collectively muster the right combination of Might, Cunning and Wisdom to defeat the foe in question, or risk taking damage. The goal of the game is for the group to complete every chapter in the castle deck, and then defeat the final boss. To win, they must keep every member of the team alive - if any player is killed the game ends immediately.